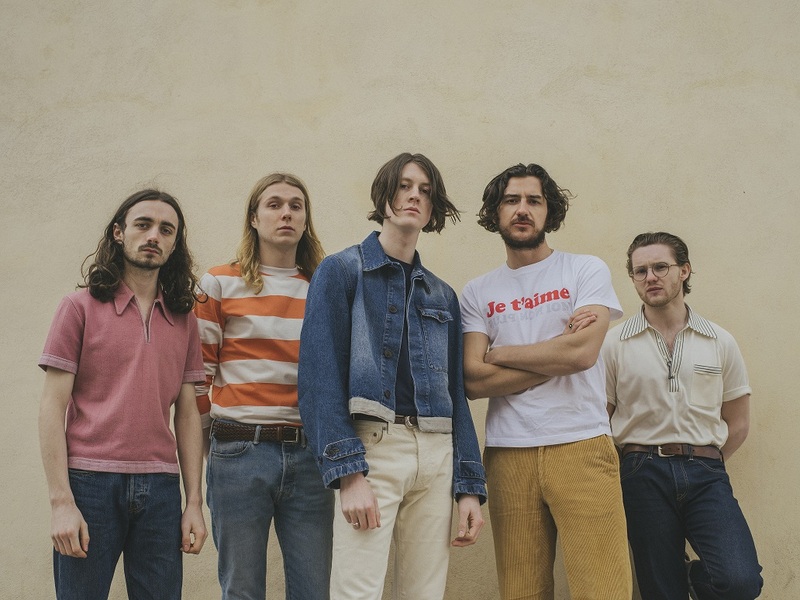 After multiple extended plays, BLOSSOMS released their self-titled chart-topping album two years ago. 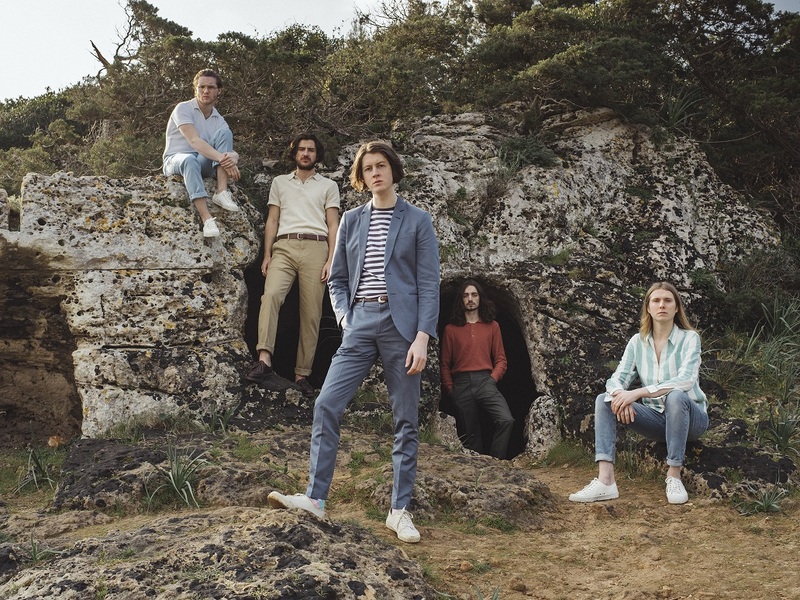 Since then the Stockport born five-piece band have toured the UK, playing headline shows and making onto the ‘BBC Sound Of’ shortlist, as well as being nominated for the Mercury Music Prize. AC: What was it like directing yourselves for the music video of ‘I Can’t Stand It’? TOM OGDEN: I’ve always had a keen interest in making films. We used to make all our own music videos when we started the band. We also made the Honey Sweet Video, so it was great to be able to direct I Can’t Stand It with a production team around us to help make our idea come to life. There were loads of props, did you make some yourselves? We came up with the ideas for the props, but Chief Productions made them at their studios. Going forward, do you guys plan to be directing all of your future videos? I think because of our busy schedule, it’s quite difficult to always direct the videos. I’m sure we’ll dip in and out and have creative control, even if we aren’t directing. Where you nervous at how people would react to the mockumentary you release earlier this year? How did your families react? Not at all, we knew we’d made something really great, and everyone we’d shown it to laughed a lot, so we couldn’t wait to release it. With your second album ‘Cool Like You’, were you feeling pressure to out-do the first? I wouldn’t say ‘out-do’. It’s more of a natural evolution and progression as a band and as a songwriter. You’re always trying to better yourself and evolve, which I think we definitely have done on this record. On your new album, a lot of the synths make it feel nostalgic, what kind of music were you listening to that inspired the sound? A lot of things. Obviously, Spotify playlists play a big part these days and there’s some great ones on there. Also, the Grand Theft Auto Vice City Soundtrack, various synth pop playlists, the Stranger Things soundtrack, Abba, The Style Council. Were there any kinds of guitars that you experimented with that didn’t make it on to the album? Not really. We had a clear vision quite early on of how we wanted the album to sound. The guitars were being layered in to create a wall of sound of rhythm. There’s still lots of guitars on the record. Which song on the album was the hardest to make? It was a relatively easy album to make and we did the whole thing in 2 days. I’d probably go with Stranger Still as we took a different approach in terms of building the drums. We wanted it to sound like a Kate Bush track. Which ones are you particularly looking forward to performing? ‘Between The Eyes’ is going to be great live.